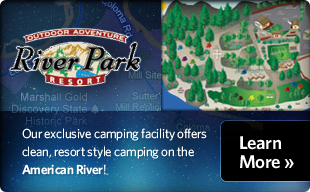 Beyond Limits offers 10% off for groups of 6 of more persons and 20% off for groups of 12 or more persons on all of our South Fork American River trips except the Chili Bar Express trip. Check out our discounts page for Last Minute discounts, Family discounts and Off Season discounts! On some dates our pricing varies Due to high season and Low season demand. To find our pricing for specific dates go to our calendar page and select your trip.